When it comes to multicultural marketing, brands are facing some of the biggest challenges they have ever experienced, as technology changes consumer behavior. Developing brand affinity and maintaining loyalty, especially amongst Latino consumers, is becoming the holy grail of growth and success, as those once classified as minorities become majorities. In order to connect with the U.S.’s largest and fastest growing consumer group, brands must develop better marketing tactics. Today, six in 10 Hispanic adults living in the U.S. speak English or are bilingual, Pew Research reports. Hispanics in the United States break down into three groups when it comes to their use of language: 36% are bilingual, 25% mainly use English and 38% mainly use Spanish. Because Latino consumers are bilingual, creating campaigns in both English and Spanish that speak to their values will help brands make the connections they seek. 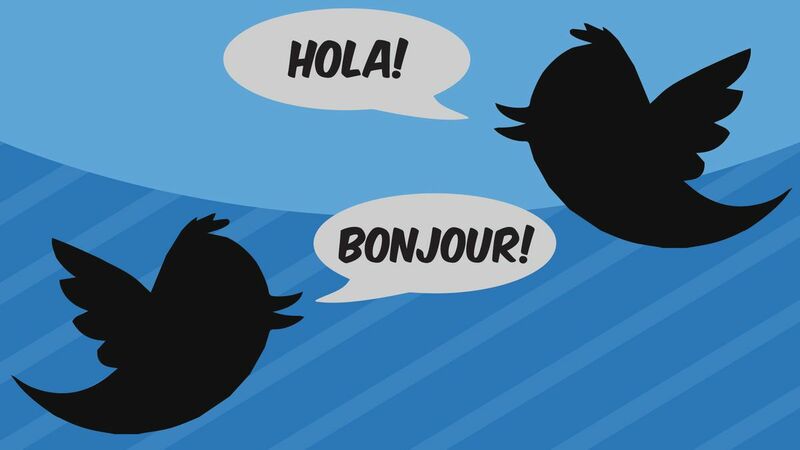 Using both languages will enable brands to establish better connections. Galan advises them to be careful to use a voice and values that are authentically portrayed. “By not taking language and cultural values into context, we will not marginalize Latinos,” Galan adds. Latinos will choose which brands to give their money to based on a brand’s ability to effectively communicate in ways that appeal to their lifestyles and cultural values — especially across digital channels. When it comes to in social media, mobile and e-commerce, Latinos lead in the adoption of new platforms or technology. Latinos outpace non-Hispanics in the use of social media. Latinos outpace non-Hispanics in the use of social media. The survey also found that Hispanics over-index in using mobile devices for local shopping: 23.6% of Hispanic consumers say they use tablets and 48.5% of Hispanics report using any kind of mobile device. How does will resonate with the family values of my audience? How will my audience feel like this a product/services/brand that will help them accomplish their goals? Marketers must then go one step further and answer how those questions play out across video and mobile platforms. Then, take it another step further and develop a SEM strategy that leverages YouTube’s Hispanic audience targeting and capitalizes on the growth of Spanish language search. A great example of this was Hispanicize’s partnership with Wells Fargo to develop a YouTube series on Hispanic journalists. They produced the sessions with Latino students from the Miami Media School. “This ongoing series on media entrepreneurship resonates strongly for Hispanic journalists at a time when many of them are literally redefining their careers and even experimenting with new business models,” says Manny Ruiz, founder of the Hispanicize event and a former journalist turned media entrepreneur. Last year, I wrote about how music is a critical millennial marketing tool. It’s no different with Latinos, except when it comes to the genre. For Latinos, there are several genres that marketers may focus on, but hip-hop is number one. Marketers should note that Moët Hennessy’s campaigns have continually been devoid of traditional consumer segmentation. From their “Never Stop to Never Settle” to “What’s Your Wild Rabbit?” campaigns, the group has bridged generational and cultural divides by leveraging hip-hop influencers such as Nas, Common, Jermaine Dupri, Swizz Beatz and Erykah Badu in order to connect with millennial audiences. Nas’ narration of the story of Malcolm Campbell, a caucasian 1930s car racer with a dark side, was one of the most successful components of the “What’s Your Wild Rabbit?” campaign, Potter says. This iterated the importance of taking the issue of race out of the equation and focusing on the mediums that will drive the message, thus bringing about engagement. Hispanics are 25% more likely to follow a brand and 21% more likely to share content of a brand they trust, Pew reports. In the past, programming has largely been dominated by broadcast media. To circumvent this, creators turned to digital channels. In 2012, for instance, Latino-focused content producers arrived in full force, gaining massive traction with online viewers. Groups like MiTu, a multi-channel YouTube network, and Young California, a West Coast network of DJs and content creators focused on hip-hop, have developed loyal following with Latino and other communities. While digital is starting to gain traction with millennial Latinos, other mainstream broadcast giants have already taken note of catering general programming to Latino audiences as well. Galan’s advice for brands that create or integrate into Latino-focused programming is to make sure that they don’t strip out cultural value. She also advises them to create content that is creative and resonant with Latino Americans, not to Spanish culture as a whole. Many marketers make the common mistake of thinking that Latino Americans are the same as Hispanic cultures found in Brazil or Spain. “There’s a difference between Latin and Latin America,” Galan says. As the influence of Hispanic culture grows, it’s clear that marketers must make drastic shifts in their perceptions about how to market to groups that they may have once singled out as minorities. What’s more, they must learn to build their marketing plans based on a series of cultural values and insights instead of more linear forms of data. The evolving behavioral complexities of consumers across the U.S. is going to lead us to create deeper, more meaningful strategies that translate into successful consumer relationships across all product and company categories. 8345 NW 64th Street Doral, FL 33166. Los cerebros Bunch. Todos los derechos reservados.